Suzanne is a native Floridan having lived in Martin County over 30 years. She has seen the growth and changes that make Martin County what it is today. She is uniquely knowledgaeble about lending along the Treasure Coast and can lend throughout the state. 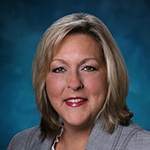 She has been active in the Realtors Association of martin County for over 20 years, a member of the Women's Council of Realtors (national and local affiliates) and past board member, a graduate of Leadership Martin County and past board member of Preferred Professionals of Martin County and an active member of Palm City Chambert of Commerce through PPMC. Suzanne believes in community and making a difference. She also serves on the Board of Trustees for Environmental Services Council. Suzanne Granfield, a seasoned mortgage lender, has over 30 years' experience in the financial services industry within the southeast Florida market. Throughout these years, she has worked in loan processing, closing and underwriting, construction, quality control and compliance. Suzanne has held the positions of Associate Vice President of a mortgage company, Branch Manager and Senior Loan Officer. She works with all loan programs but specializes in Jumbo and construction financing.